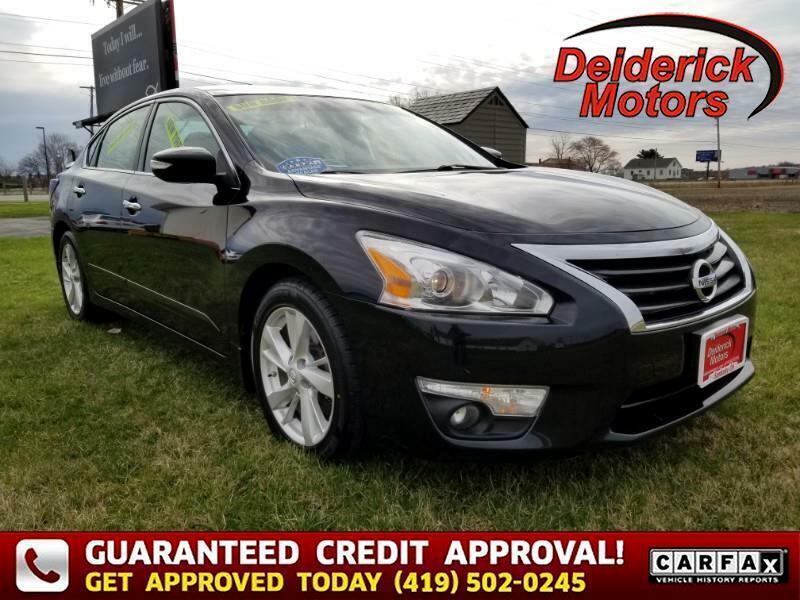 Beautiful in Super Black, our 2014 Nissan Altima 2.5 SV Sedan is a stand-out in its class with impressive performance and beautiful craftsmanship. Powered by an efficient 2.5 Liter 4 Cylinder that provides 182hp while mated to Nissan's next-generation CVT. This Front Wheel Drive team executes flawlessly; helping you secure upwards of 38mpg. To match the grin-inducing acceleration, the Altima now features a 370Z-inspired multi-link rear suspension to provide instant responses and maximum tire contact to ensure your daily commute is anything but ordinary. You may see the Altima 2.5 SV features some styling cues of its big brother, the Maxima. Check out the sporty aluminum wheels and dual exhaust outlets w/chrome tip finishers. Inside you will find an upscale and richly appointed cabin. Spoil yourself with features like the Advanced Drive-Assist Display, zero-gravity cloth front seats, push-button ignition, and Bluetooth. You are also rewarded with the Nissan Intelligent Key w/Remote Engine Start System and Rearview Monitor.